Are you in need of Limousine or Limo Bus service for your next event or celebration? Be sure to call Port Huron Limousine. 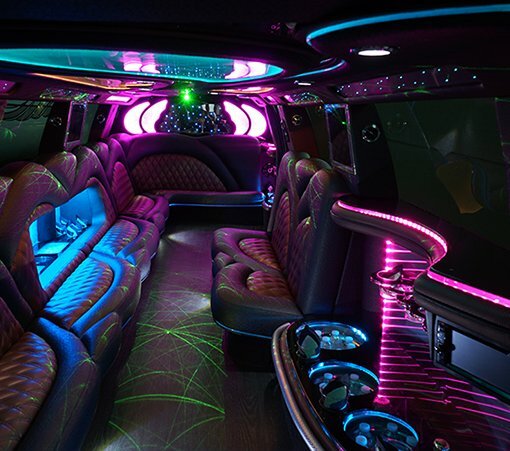 We specialize in limo & limo bus transportation and can accommodate any of your necessary events. We have phone operators on standby 24 hours a day and 7 days a week that can be reached at 810-201-4794. Our fleet of buses and limousines range anywhere from 10 passengers up to 40 passengers. For more elegant events we recommend getting a limo and for something that requires you to have more room or stand up we recommend getting a limo bus. 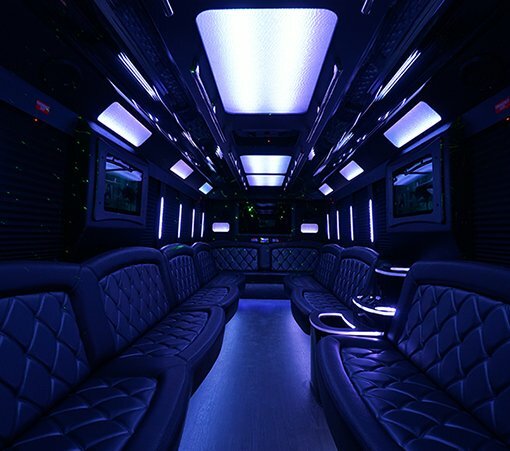 All of our vehicles both limos and limo buses have state of the art interiors with all of the features you might be looking for. Don't be fooled by companies that just put anyone behind the wheel to drive your party around. Our professional chauffeurs are not only dressed to impress but are qualified to drive the vehicles. We screen all chauffeurs and drug test them before hiring. We are licensed by the state of Michigan and also have all of the necessary insurance to operate our vehicles. We accept any major credit card for your deposit of $200 to make a reservation. We accept credit card or cash for the remainder that would be due to the driver on pickup. Give us a call today to reserve your vehicle before it's too late. We also offer referrals to other limo companies if you need somewhere besides port huron. If you're in the Detroit area check out Detroit Limousine. For service out towards the east coast check out Baltimore Limo. If you're in North Carolina we recommend Raleigh Limos. If a limo bus or limo isn't what you're looking for give us a call and we can recommend you to a company you might be looking for. We can provide you with one of our affiliates that has sedan service, all the way up to large parties for 55 passenger motor coaches. Remember our phones are open 24/7. 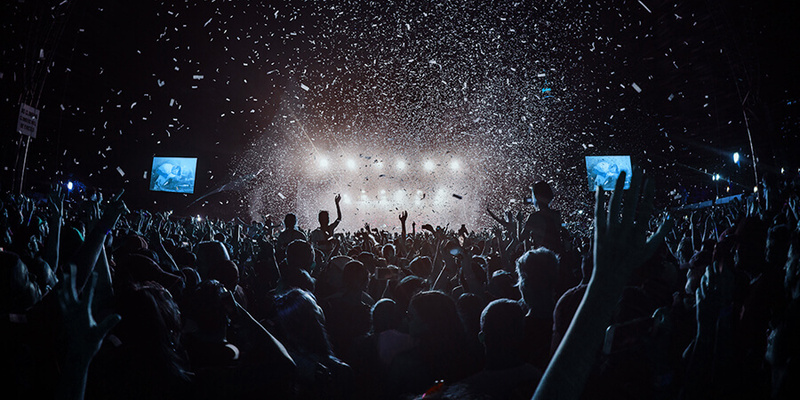 We serve all types of events throughout our metro area, and that means that no matter what you've got planned, we're always here to take care of your transportation needs. Our professional chauffeurs will be beyond thrilled to take you to all of the events below as well as the more unique ones that are special just for you. Give us a call to speak to us about the ways in which we can make your outing even more special, and for now let's talk about just a few of our most popular events. Weddings are a big one for us! We do so many of these as well as all the special events that surround them. We get lots of calls from soon-to-be brides and grooms who want to know exactly how we can make their day even more special. We've got the most elegant vehicles in town and the kind of luxurious transportation that will make any nuptials celebration more memorable. Our vehicles look just incredible in your wedding photography and you'll feel like the royal couple traveling in style with your whole wedding party right there with you. Pop some bubbly and celebrate your union! 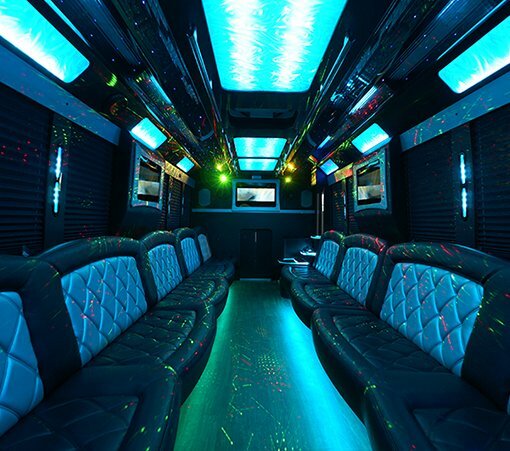 Nights of bar hopping and club hopping are definitely one of the top reasons to rent a party bus, if not THE top reason. We get so many requests for this, especially since we have so many excellent bars and clubs in our area! Why hang out at just one and debate over who should be the designated driver when you can have an evening of many bars and clubs with a dedicated designated driver in the form of a pro chauffeur? Plus, you can drink between destinations, stocking the bar with all your favorite drinks and playing bartender while the wheels are turning. Totally legal and totally fun! If you're a big sports fan and want to check out our local teams playing their best, why not head out there in a party bus? It's so comfortable and convenient, the ultimate in tailgating, with all your friends in tow. You can even decorate the bus with all your favorite team memorabilia and maybe even pop a highlight reel in if you want to watch some of that on the HDTVs! You'll be traveling in just as much style as your favorite players do and living it up like a real sports VIP! Then head out to the sports bars and celebrate that win! Brewery tours and winery tours are a really great reason to give us a call. This is one of those times where you're drinking and definitely not wanting to haggle over who will drive. Your chauffeur will keep you totally safe on the road while you pop open those bottles that you purchase at the breweries and wineries, enjoying them as you cruise. We can take you to multiple breweries and wineries to sample the finest that our area has to offer! If any of the above events appeal to you or even if you have something completely different in mind, give us a call and let's plan it! 2017 © Port Huron Limousine All rights Reserved.